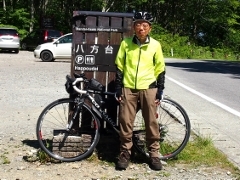 Today, after I left Miharu Town, I stopped at several cherry trees on the way and finally arrived at Ono Town. 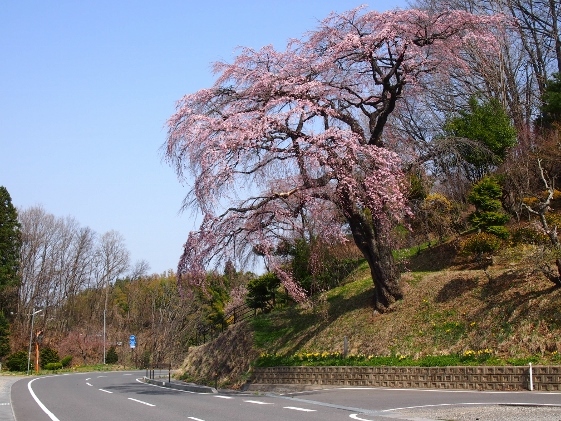 I could find abundant of excellent pink weeping cherry trees anywhere around Miharu Town, Koriyama City, and Tamura City. Many of them were nameless. 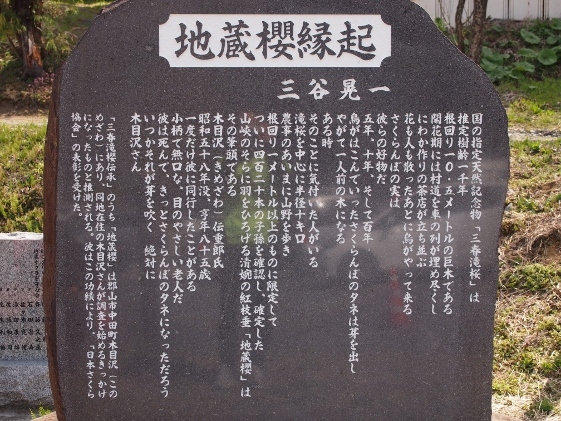 An example was shown in the picture above. 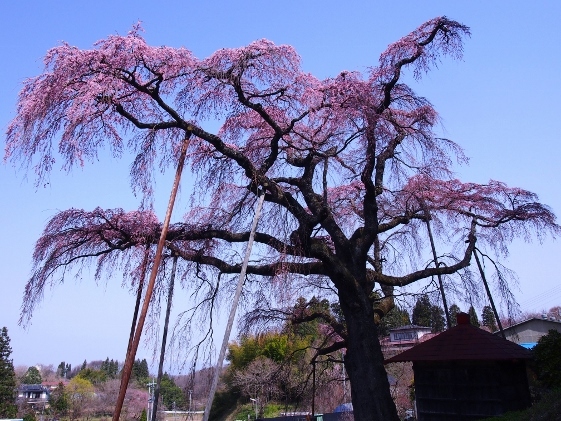 First, I visited Jizouzakura which was a giant ping weeping cherry tree at Koriyama City. 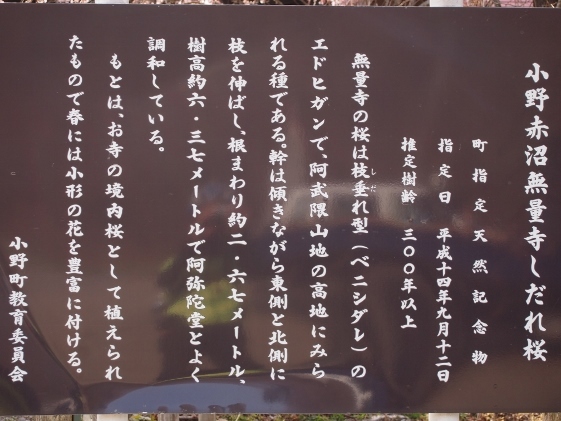 A local list of cherry tree rankings said that Miharu Takizakura occupied an east Yokozuna whereas this Jizozakura occupied west Yokozuna. 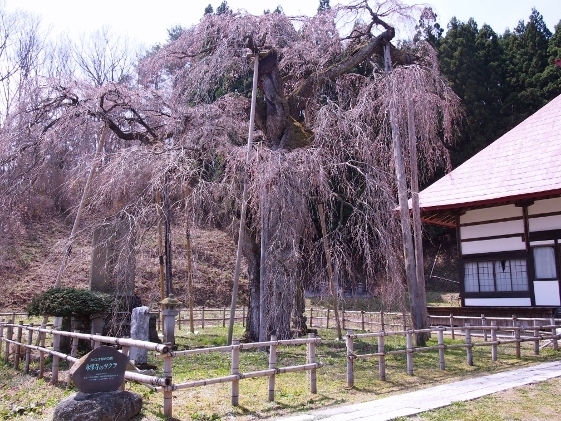 The Jizozakura was 380 years old and was said to be an ancestor of Miharu Takizakura. This tree had just started to bloom and will be the best time to see soon. 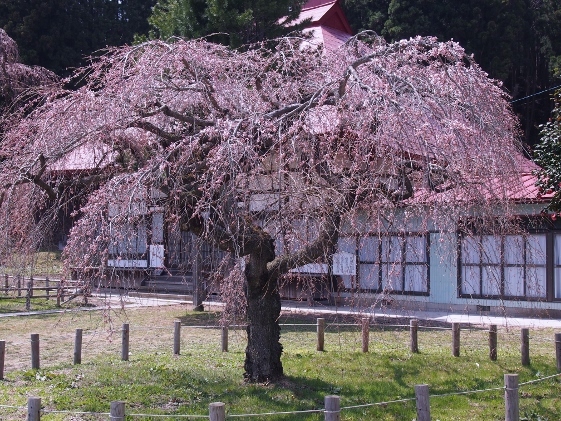 Next, I visited weeping cherry trees at Eisenji Temple at Tamura City as shown in the pictures above. 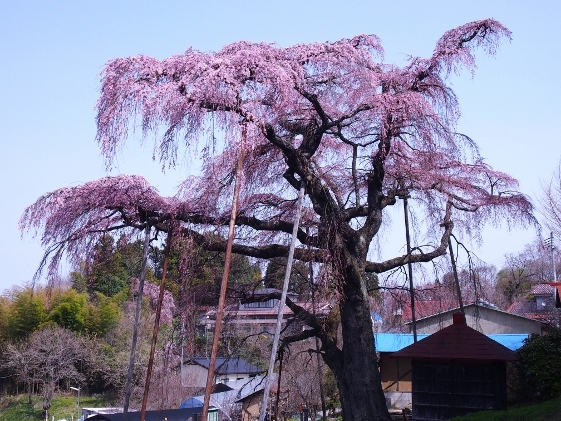 All these trees were also Edohigan pink weeping trees the same as Miharu Takizakura. The largest one was still in buds and will take some time to be the best time to see. 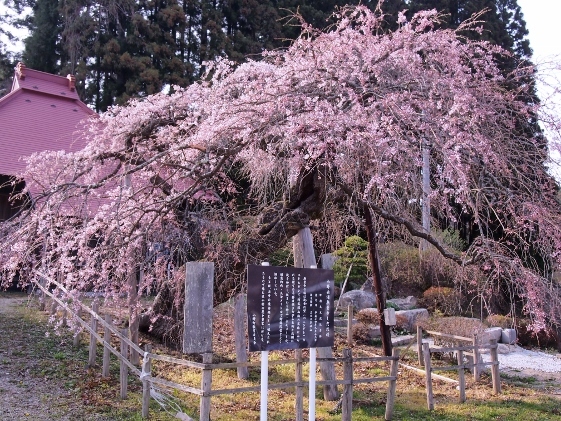 Arriving at Ono Town, I visited weeping cherry tree at Muryoji Temple in Akanuma district as shown in the pictures above. This tree also had just started to bloom and will be the best time soon. 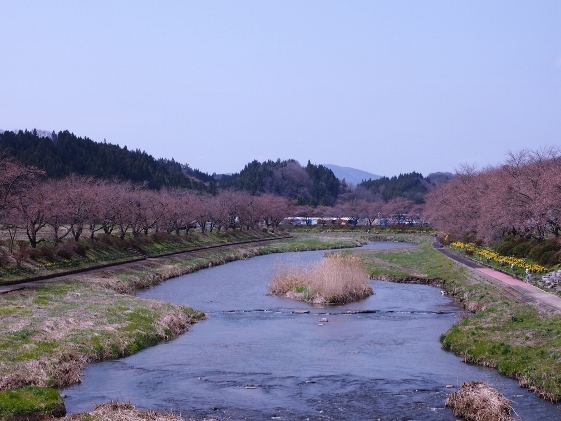 What I had expected to see at Ono Town was the "Natsui thousand cherry trees". 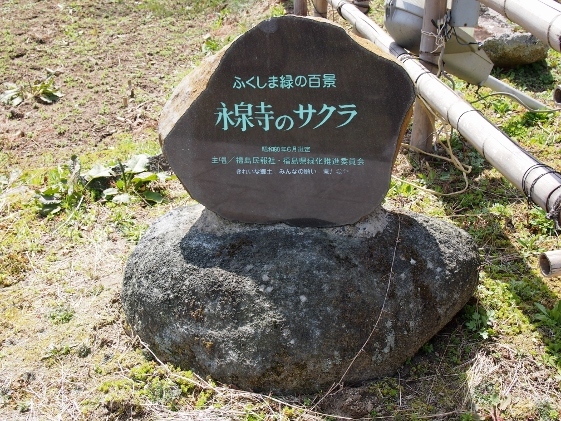 The local people of Natsui planted a thousand cherry trees in the year 1975 along both sides of the Natsui River which extended to 5km long. When I visited today, most of the cherry trees were yet to bloom but will be very soon as shown in the picture above. The best time will be around this weekend or later. 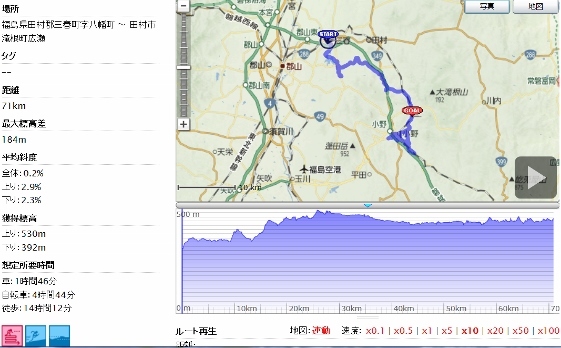 Today I stayed at Hariyuso Inn located at Tamura City somewhat behind Ono Town. 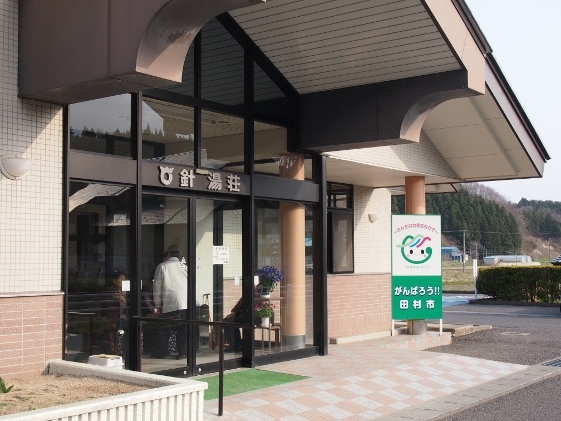 This was a public inn of Tamura City which provided secure stays with reasonable price. Many daytime visitors also enjoyed the bath.